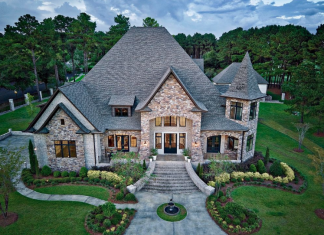 This newly built brick & stone home is located at 705 Royal Parkway in Dothan, Alabama and is situated on 1.2 acres of land. 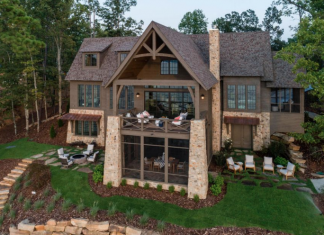 This stone mansion is located at 7 Deerwood in the Shoal Creek Country Club in Birmingham, Alabama and is situated on 2 acres of land. 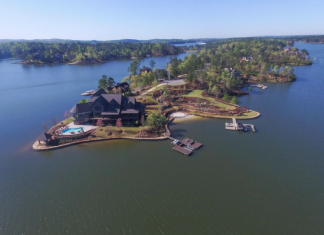 This waterfront home is located at 614 Ridgeview Point in Alexander City, Alabama and is situated on a 1 acre peninsula. 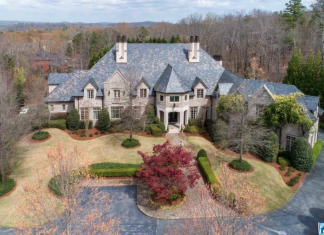 This mansion is located at 4006 Saint Charles Drive in Birmingham, Alabama and is situated on over 3 acres of land. 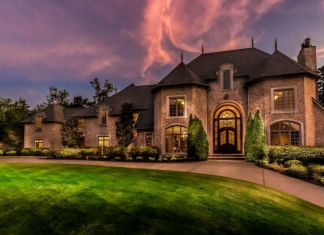 This lakefront brick mansion is located at 1011 Lake Heather Road in Birmingham, Alabama and is situated on nearly 1 acre of land.